Premium Pallet Jacks | Shelving, Inc. Variety of options in wheels, as well as fork dimensions. 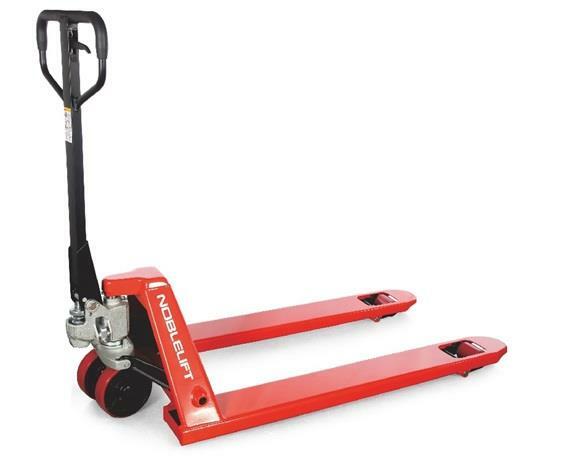 Top class range of pallet trucks with excellent ergonomic design.The ideal storage aid for all variety of manual transport tasks over short distances in stores, warehouses and factory plants. Reliable, sturdy and torsion-resistant due to their extremely strong high-quality steel. Our German WAGNER paint system ensures excellent powder coating and high paint quality. All pivot points are greased for excellent maneuverability and effortless steering. Chromed bearing bushes and joints ensure quiet running application and particularly long service life. Equipped with high quality, galvanized one-piece hydraulic pump, adjustable lowering speed and overload valve. 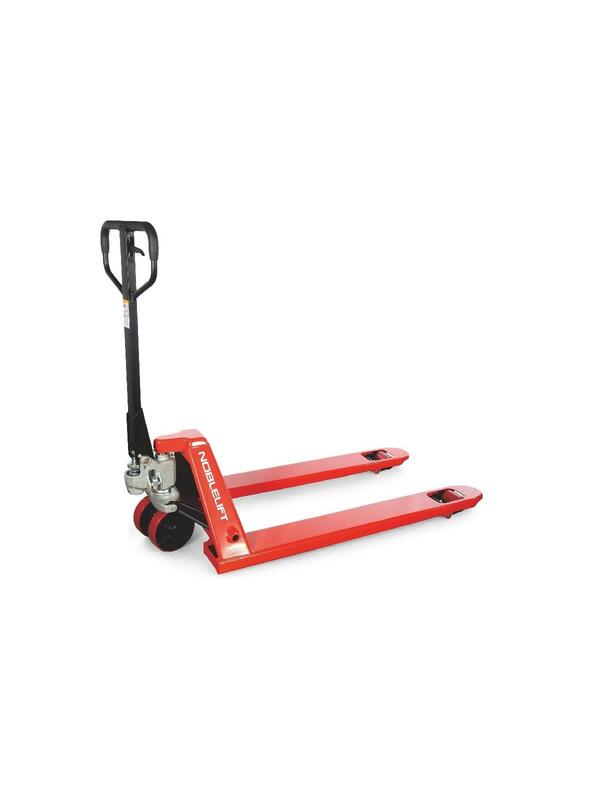 Standard tapered fork ends, pallet entry and exit rollers and non-marking polyurethane steer and load wheels. FOB Shipping Point. Premium Pallet Jacks are sold fully assembled or may be purchased by crate (-CRATED added to part #).